We recognise the great benefits to be gained from working with and through local NGOs in Mali and consequently have always worked in this way. We have set up partnerships with a number of Malian voluntary organisations and currently are working with two - Jeunesse et Developpement and Pensons a Demain. J&D is our biggest partner. It is a Malian NGO established in 1991, which has grown steadily since then, and is highly regarded by both the communities it works with and the international agencies who fund its projects. It is a multi-purpose organisation using community development approaches to working with and supporting local community initiatives. capital projects in these same rural areas building grain-grinding mills, school classrooms, health centres and water retention ‘barrage’ schemes. You can read more about our current and past projects with J&D on our Projects page. As well as raising funds for vital development work, we intended from the beginning to build a partnership with J&D which could enable members of both organisations to learn about each other’s cultures. Educational visits in both directions have been an important feature of the relationship, and the two organisations have worked together on providing work experience for a number of young volunteers. MDG’s contribution to the work of J&D is in funding its project work, helping with the costs of running the organisation itself and ensuring that money directly reaches the communities served. Founded by the renowned Malian artist Kader Keita the association works with disadvantaged and disabled young people in Mali’s capital Bamako. Kader works with Bogolan, a traditional way of producing decorated textiles, using the distinctive mud from the Niger River. Many of the children and young people that PAD supports are in desperate circumstances and many of those helped by the association are rescued from the streets. Kader uses art as a pathway into education, creativity and understanding, building the skills and self-esteem that these young people will need to survive and move into a better life. The project works intensively with around 20 children and young people for each intake and provides food, accommodation and support, as well as training in Bogolan, to help the young people come off the streets, return to school or their families, and develop ways of sustaining themselves. Hundreds of children and young people have benefited from the work of the Association, the vision of Kader Keita and the work of a talented and dedicated team. Pensons à Demain is currently expanding and a new building has recently been completed, providing further education and studio space. A particular focus over the last year in the education of young people has been on Ebola prevention and basic sanitation. The project aims to expand the outreach work that it does with street children and is seeking funding for a vehicle to enable this to happen. 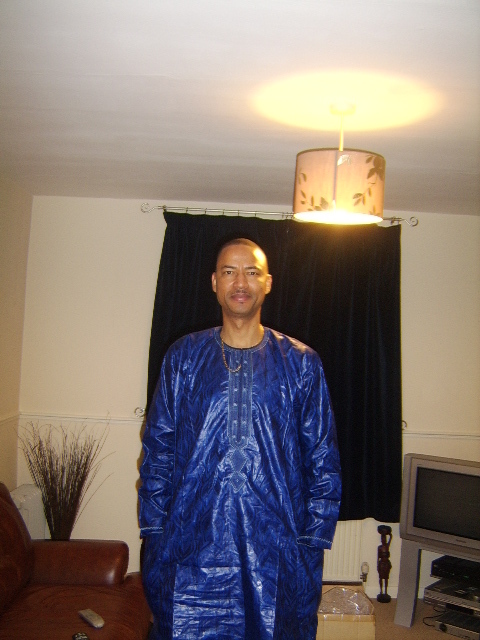 Within the UK, there is a small diaspora Malian population represented by the Malian Community Council. The Council exists to promote the interests of Mali within the UK, to provide welfare and support, and a means for Malians here to remain in contact with one another. The MCC is recognised by the Malian government as a body that can speak on Malian affairs. MDG liaises with and has worked closely with the MCC, organising conferences and meetings, making representation to the UK government, briefings and cultural activities and raising the profile of Mali with the UK public.